We are 2 entrepreneurs with a combined 50+ years experience in Sales & Marketing, Construction & Renovations, and Manufacturing & Logistics. We have a passion for this idea; the recycling and re-purposing of used shipping containers to create useful livable space. Dwell Containers Canada was founded and developed following a green eco-friendly philosophy, and it’s at the heart of every Dwell container. We start by recycling a steel shipping container, saving conventional building materials and natural resources. We adhere to green building principles by strictly controlling waste, re-using materials, incorporating green renewable technologies like solar power, and promoting off-grid living. We wish to build a lasting sustainable product with the lowest possible carbon footprint. We believe that we can repair the ecosystem and live responsibly. We believe in community. We believe in less house and more home. We believe that together we can build a better future for ourselves and for our children. Dave Livingstone has a background in business development, sales and marketing and has been an entrepreneur for over 30 years. From his beginnings in advertising and telecommunications, he moved on to carpentry, home renovation and custom design & build construction. 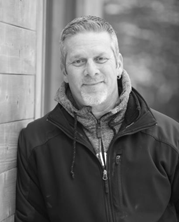 As the owner of Dwell Containers and The Pour Concrete Group, Dave brings a wealth of knowledge and vast experience in every aspect of construction. Dave possesses a unique skill set that is unmatched in the design build industry. Dwell Containers is a combination of that experience and a desire to build lasting sustainable dwellings for future generations. His passion for innovative design and helping people bring their vision to life is at the heart of what we do. Mike Reid has an IT background in computer programming and business systems analysis. He spent over 20 years in logistics and manufacturing management and brings his organizational and supervisory skills to the production of our product. Dealing with our suppliers, vendors, construction partners and building officials is a large part of Mike’s daily tasks. He also oversees our social media programs and adds his creative flair to our advertising and marketing initiatives. Mike has a passion for the creative and innovative nature of designing and building with shipping containers, and he passes that enthusiasm on to anyone who he meets. Dwell Containers offers comprehensive consulting services for clients who wish to supervise and build their own projects. We offer unmatched technical, planning and construction support utilizing technology to virtually meet with our customers no matter where they live. We are your local source for design consultation, planning, budgeting, engineering and drawings. From developing and costing your design, to creating stamped and engineered drawings for permit approval in your municipality, our consulting service can handle all your needs. At Dwell Containers Canada we can offer many services. Our parent company Pour Concrete and Drain is a full service concrete and construction company. Pour Concrete offers services in new concrete foundations, slabs, basement underpinning and waterproofing, and custom concrete forming. We are launching a new division in 2018 which offers full custom home design and building services. From recycling shipping containers and creating usuable living and working space, to building custom homes with conventional construction, we can do it all. Contact us today to get started.